Why you should consider a lab puppy for your next dog? Labs are very loyal, they will stay by your side no matter what. Need kisses? They can handle the task. Lonely? They are the perfect company. They will try to be a lap dog but once they grow and start to become bigger they won’t realize that they are actually far too big and heavy to be on your lap. Labs typically come in three colors; Black, Chocolate, and Yellow; the colors range from a pale yellow – almost white to fox red. Labs are amazing with children but are extremely rambunctious and therefore need a larger area to run and play in and may require training. They also enjoy their food, if you have a lab or are considering a lab, you may want to take this into consideration as they could become obese if they get their way. Labs are not really suitable as guard dogs as they are very trusting creatures and may lick a stranger to death. Labs are extremely intelligent dogs. They are used a lot as working dogs in the police department, search and rescue, guide dogs , therapy dogs, and lifesaving water rescue dogs as they are excellent swimmers. Labs have a long life span of between 12 and 13 years. They are a large breed ranging in weight from 65-80 pounds for males and 55-70 pounds for females. Labs are a healthy breed with very few major problems noted. The origins of the yellow lab: originally the yellow labs were more of a butterscotch color – known as golden until the UK Kennel Club decided that gold was not actually a color. Over the course of the 20th century the lighter shades through cream prevailed. 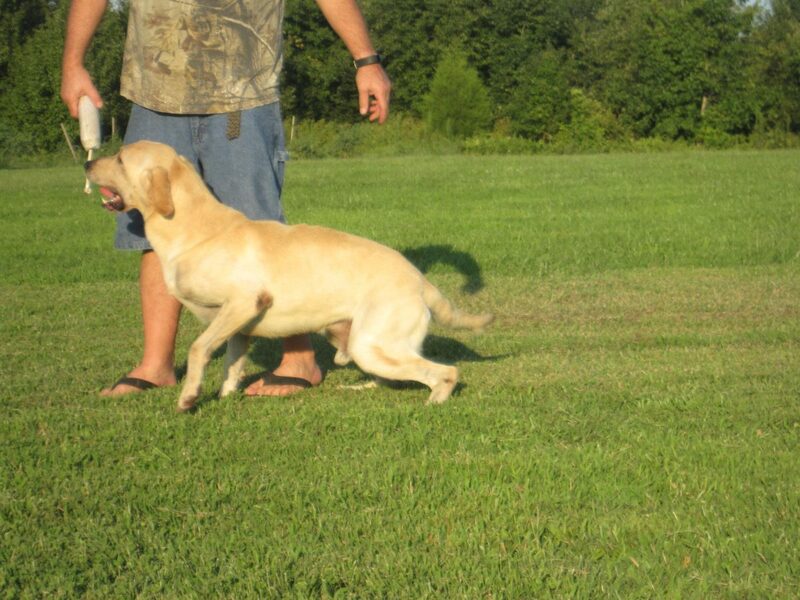 Today most yellow labs are this lighter color. Fawn is also a common color in the yellow variety. The other colors (Black and Chocolate) have been bred with other darker colored labs to obtain the rich coats. Labs are excellent dogs to bring home for your family as long as you have the patience to train them, or have them trained, and as long as they have space. They will make an excellent new member to anyone’s family.